Cloud computing isn’t going anywhere. In fact, there are more cloud platforms, services and environments being developed each and every day. The evolution of the cloud has seen many organizations evolve from private to public and now hybrid cloud platforms. Hybrid cloud is a cloud computing environment which uses a mix of on-premises, private cloud and third-party, public cloud services with orchestration between the platforms. By allowing workloads to move between private and public clouds as computing needs and costs change, hybrid cloud gives businesses greater flexibility and more data deployment options. private cloud and public cloud and are transforming the way organizations develop and deploy technology solutions. Choice – OneNeck helps customers navigate the cloud to get the Right Application, Right Cloud, and Right Time! What is your cloud strategy? Public, Private or Hybrid? 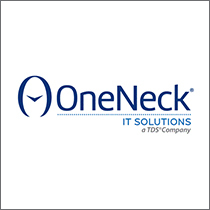 OneNeck can provide the complete solution for your hybrid cloud journey. Unless you plan on putting your entire business on a public cloud. You will need a solution that brings public cloud and private cloud capabilities seamlessly together. We understand that any one flavor of cloud should only be one part of a bigger hybrid cloud approach. We can help optimize your workloads across customized hybrid solutions that span on- premises, ReliaCloud®(OneNeck’s hosted private cloud) and managed Microsoft Azure. Not sure which is the right fit? Tap into our cloud assessment services and let our experts help define the right path for you – the right application, the right cloud and the right time.